Pastoral Letter on Human Trafficking to be read in churches. 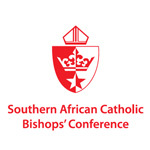 Pastoral Letter of the Southern African Catholic Bishops. “My sheep were scattered over the whole earth, and no one searched or looked for them. So this is what the Creator Lord says: I myself will search for my sheep and look after them. As a shepherd looks after his scattered flock when he is with them, so will I look after my sheep” (Ezekiel 34:6, 11-15).